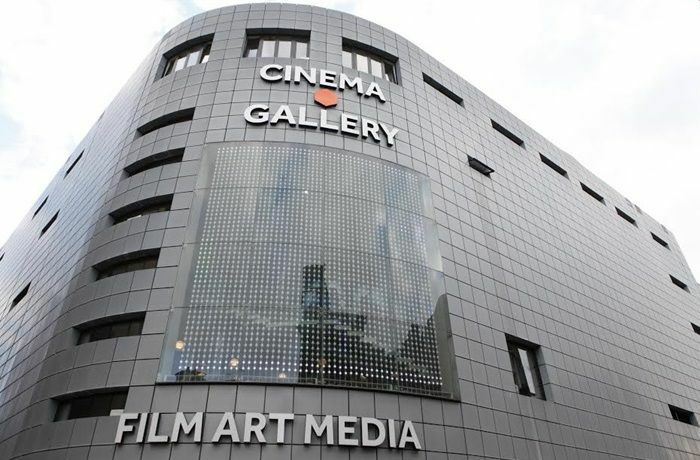 This month, the UK’s centre for media art celebrates 15 years in its Wood Street home, Getintothis’ Sinéad Nunes unpicks the programme and the month’s highlights. This month, everyone’s talking about FACT’s 15th birthday. That’s right; you know that place us Scousers sometimes call “The FACT” and think of primarily as a cinema? Its also a gallery, creative hub for resident artists and has a history of acclaimed community and learning projects. Below you’ll find everything the city has to offer in commemoration of 15 years at the forefront of creative intelligence. 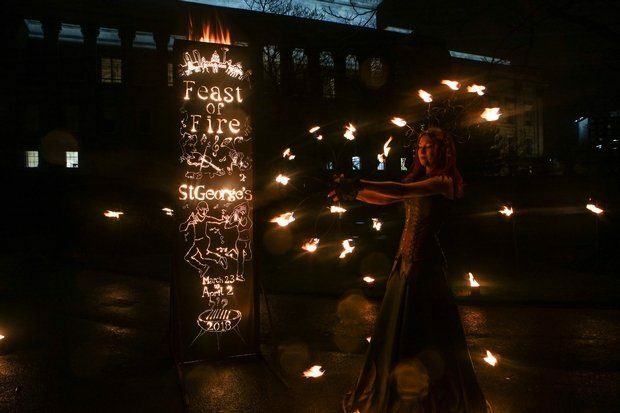 If you haven’t had a chance to catch this mini festival outside one of the city’s most iconic buildings, then don’t miss Feast of Fire this Easter weekend. Liverpool-based producers Walk the Plank have created a pop up fire garden complete with pyrotechnic sculptures and fiery food stalls, in the gardens of St George’s Hall, and each night they have invited a local organisation to put on a show. Friday 30 March sees The Kazimier puts on “intergalactic” one-man-band Paddy Steer while Saturday sees Africa Oyés turn to showcase Congolese soukous band Kasai Masai. On Sunday Liverpool Pride welcomes Queen Zee & The Sasstones, and Milapfest close the show on Monday night, with Indian music and dance. Tickets priced individually per night. Part of Liverpool’s China Dream 2018 season, this exhibition includes three projects examining the role of photography today, by anthropologist Dr Xinyuan Wang, collector Thomas Sauvin and Chinese-Canadian photographer Teresa Eng. In light of China’s unprecedented migration from rural to urban living, and by collecting together everyday photographs taken by people in China, Snapshot to WeChat considers how the casual act of snapping photos has become a crucial part of how we understand ourselves. (The gallery’s launch nights are always great too). Scheduled over a long weekend, FACT at 15 brings together artists and performers to celebrate the organisation’s creative output. Highlights include a screening and Q+A with the director of The Bomb, an experimental film pleading for nuclear disarmament, a giant, kinetic sound sculpture visitors can play like a huge theremin, and a “brain-controlled” film screened inside a 6 seater caravan, where the artist tracks your attention span to manipulate the narrative outcome. Meanwhile in the foyer at FACT, artist, musician and all round dude Graham Dunning will be composing a new piece of music, using vinyl, analogue music production, hacking, coding and sculpture to create a new mechanical techno tune. Watch his videos and you’ll be amazed. FACT takes over 24 Kitchen Street in a not to be missed night of art and music. 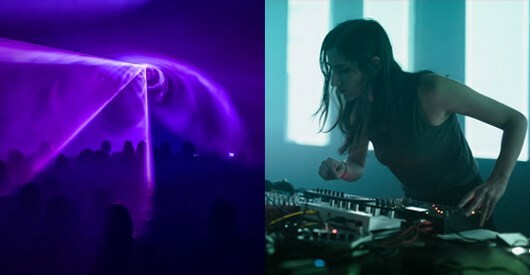 New York DJ Aurora Halal, who has toured some of the most forward-thinking underground clubs and festivals in the world, including Unsound and Berghain, will play an extended DJ set of psychedelic, immersive techno. Audio visual artist Robin Fox showcases his newest live piece, Single Origin, a laser show which synchronises sound and visual electricity in hyper-amplified 3D space. Support comes from Liverpool-based DJs and Kitchen Street favourites, Binary + Malchance. If you’re a fan of theatre or pop culture, you’ve probably been waiting for this all year. Fans of the film won’t be disappointed, but spoiler alert: Anthony Burgess’ stage adaptation combines cabaret, music and dance to create a piece of theatre totally removed from the cult classic. In a dystopian, totalitarian state, good citizens are apathetic as a violent youth culture wreaks havoc. Anti-hero Alex is totally amoral, and his thirst for violence (and drug-laced milk) is the impetus which drives the story. Shot through with music and studded with Burgess’ own songs, Nick Bagnall directs this thrilling, scalpel-sharp tale of transgression and free will.